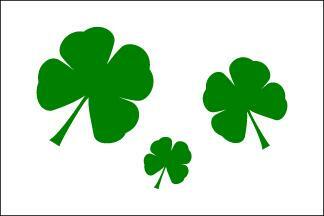 3x5' Nylon Shamrock flag. Our Shamrock banner is finished with canvas header and brass grommets. Order this St. Patrick's Day flag now!